Traditional brush shampoo is what I usually use to clean my brushes and sponges. Just kidding, let's be real...I've been using the Johnson's baby shampoo for years now. Why? Because it's gentle and I know it won't damage my brushes. But sometimes liquid soap can be a little too much of a waste of time as well, I feel like I'm someone who will use too much product so whenever I'm trying to clean out the soap it can take me up to five minutes on only one brush. When I was walking around in Sephora I noticed their solid brush cleanser and decided to give it a try. I'm not sure why I decided to go for the Sephora collection instead of the beauty blender cleanser but let's just say that I finally got to try both out. At first I didn't think there would be a huge difference between these two. The Sephora Solid Brush Cleanser is available in two sizes; 0.6 oz for $8 and 1oz for $14. 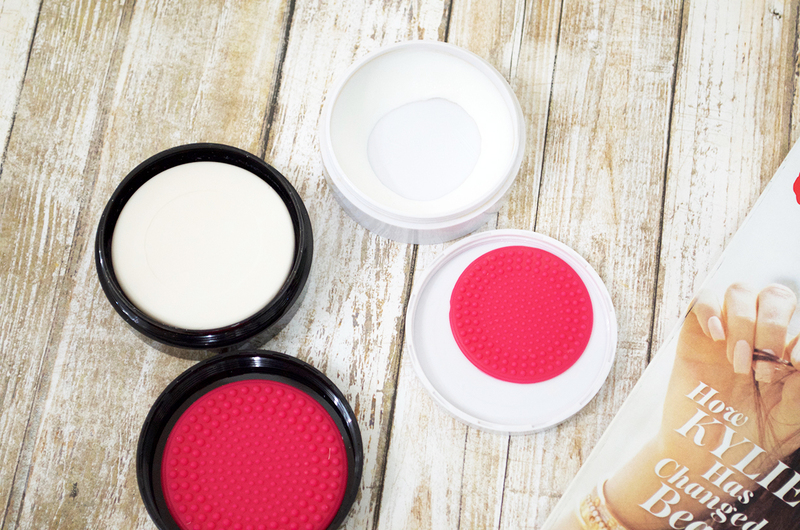 The beautyblender solid brush cleanser is available in the 1oz size for $16. There's a $2 price difference between the two, and although that isn't a huge amount I think that you should save the $2....get the Sephora cleanser instead. Both of these cleansers come with that little brush thing (I have no idea what to call this). The beauty blender came with one as well but it was different than what I have pictured below. I actually threw away the one that came with the beautyblender cleanser because it was horrible so I put in the cleaner from an older sephora brush cleanser I had. 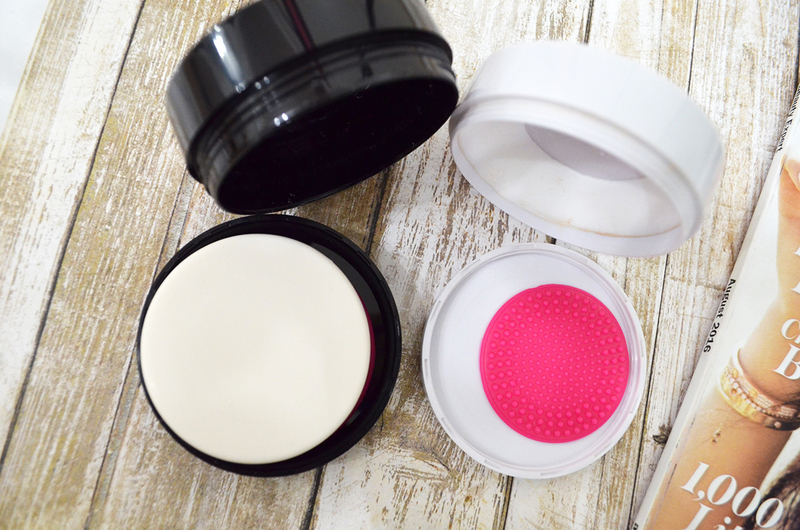 Just by looking at that picture you might believe that I liked the beautyblender cleanser better since it's almost gone, but I've been trying to hard to get rid of it. I really don't like the formula because it seems to not deep clean my brushes enough and it feels kind of sticky. It also smells weird compared to the Sephora brand which has a slight fragrance to it. I also like how with the Sephora brush cleanser I'm able to remove the soap, it's easier for me to clean my brushes and I'm also able to flip the soap around to use the other side. But with the beauty blender it's stuck to the container. So if I'm trying to clean a foundation brush it's much harder because then I'm stuck with having only the sides of my brush clean since the soap is always used up the most in the middle. 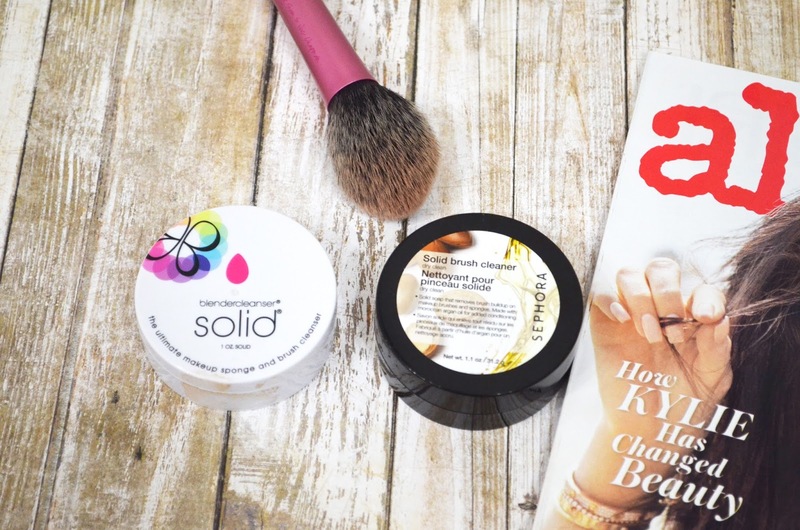 Overall, I've been loving the solid brush cleansers and I will continue purchasing the sephora solid brush cleanser since I find that it works the best for my brushes and real techniques miracle complexion sponge.